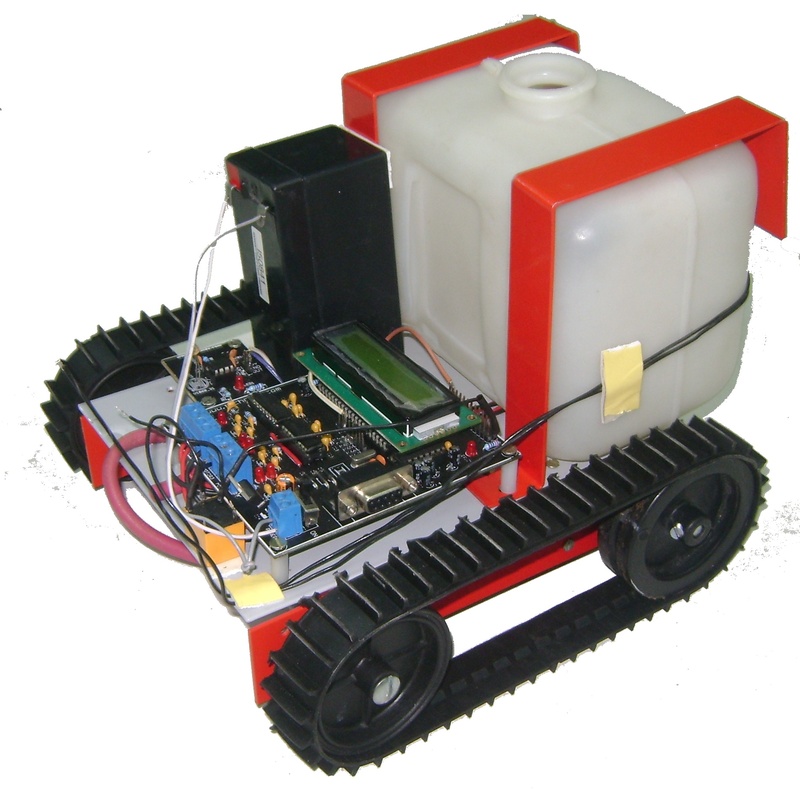 The main objective of this project is to extinguish the fire by wireless robot at the same time send sms to concerned authority through GSM. A firefighting robot uses a little fire xtinguishing pack attached to its back. It uses unique sensors to detect a blaze or fire. Then turning towards the fire it performs required actions and notifies the user through an sms message. Two IR sensors will be attached to robot assembly. The robot will rotate continuously. One IR sensor is used for short range & second is used for long range fire detection. When long range IR detects the fire, robot starts moving towards the fire till the short range IR detects the fire. When short range is detected robot will stop moving & will start the extinguisher. The extinguisher will remain ON till the IRs stop detecting fire. Water or CO2 can be used as extinguisher. In this scheme four long ranges (0°, 90°, 180°, 270°) & one short range IR will be used. Initially the robot will not move. Three long range IR sensors are placed at right, left, & backward position. Whenever any of these IRs detects fire , robot starts turning to that particular direction till the forward long range IR detects fire. Once forward long range IR detects fire, it starts moving towards fire till short range IR detects fire. Extinguisher starts as short range is detected. GSM modem will be interfaced with µC. After detecting fire, µC will start extinguisher at the same time it will send sms to concerned authority like fire station etc.